Aurora – Mineral County, a few remains and cemetery. Austin – Lander County, many original buildings, current residents. Berlin-Union – Nye County, several buildings. 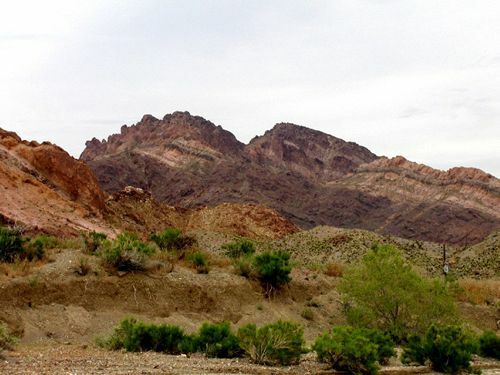 Bonnie Claire – Nye County, northeast of Scotty’s Castle, significant ruins and mining remains. Broken Hills – Mineral County, a few buildings and mining remains. Candelaria – Mineral County, a few buildings and ruins. Chloride City – Nye County, mining remains. Dayton – Lyon County, several buildings, cemetery, current residents. Death Valley Ghost Towns – Nye County – includes Bonnie Claire, Chloride City, Gold Bar, Bullfrog, and many more. Delamar – The Widow Maker – Lincoln County, mining camp, building and mining ruins, cemetery. Eureka – Eureka County, a few buildings. Fairview – Churchill County, a few building and mining remains. Genoa – Douglas County, several buildings and a cemetery. Gold Hill – Storey County, a few buildings, mining remnants, cemetery, current residents. Goldfield – Queen of the Mining Camps – Esmerelda County, mining camp, active town, many buildings, current county seat. Gold Point – Waxing & Waning Through Time – Esmerelda County, mining camp, many remaining buildings. Goodsprings, – Still Kicking the Desert Dust – Clark County, mining camp, many remaining buildings and current residents. Hamilton – White Pine County, a few buildings, ruins, cemetery. Ione – Nye County, several buildings. Johnnie – Nye County, a few buildings but on private property with no access. Manhattan – Manhattan County, many remaining buildings, ruins, cemetery, current residents. Midas – Elko County, several buildings, current residents. National – Humboldt County, just a few buildings. Nelson area in Eldorado Canyon. David Alexander, April 2005. Nelson and Eldorado Canyon – Lawlessness on the Colorado River – Clark County, mining camp, many buildings throughout the canyon, mining remains, current residents. Paradise Valley – Humboldt County, several buildings. Pine Grove – Pine Grove County, a few buildings, mining remains. Pioche – Lincoln County, many remaining buildings, mining remnants, current residents. Pioneer – Nye County, a few mining remains. Rhyolite – Nye County, mining camp, many original buildings. Rochester – Pershing County, building and mining remnants. Rockland – Lyon County, just a few scattered remains. Searchlight – Clark County, mining camp, active town, a few original buildings and mining remnants. Silver City – Lyon County, mining camp, a few buildings and mining remains, current residents. Sutro – Lyon County, few remaining buildings and mining remnants. Tonopah – Nye County, active town, many original buildings. Tuscarora – Elko County, several buildings, cemetery. Tybo & the Plight of the Chinese – Nye County, mining camp, several buildings and mining remains, cemetery, charcoal kilns, current residents. Unionville – Pershing County, several remaining buildings, cemetery. 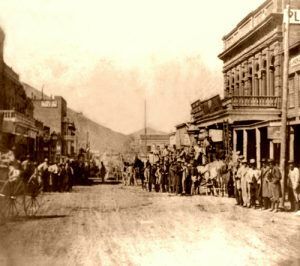 Virginia City – Storey County, active town, numerous historic buildings. 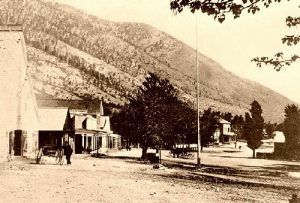 Wadsworth – Washoe County, active town, several historic buildings.